Colombia got their World Cup campaign firmly back on track with a comprehensive 3-0 victory over Poland in their Group H clash. Opening defeats for both sides in Group H meant it was a must-not-lose scenario at the Kazan Stadium and Yerry Mina's first-half goal (40) sent Colombia on their way. 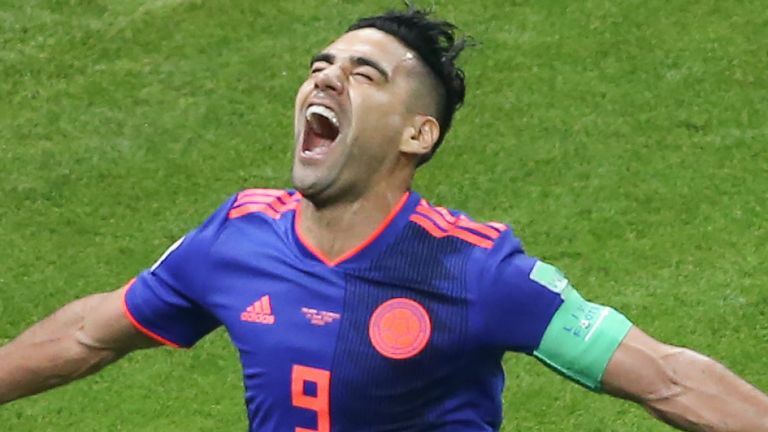 A first World Cup goal for Radamel Falcao (70) and Juan Cuadrado's third (75) put the gloss on a scintillating performance as Colombia boosted their chances of reaching the knockout stage. Jose Pekerman's side now know a victory over Senegal, who drew 2-2 with Japan earlier in the day, in their final group game on Thursday will secure a place in the last 16 where they could face either England or Belgium, while Poland will only have pride to play for when they face Japan.